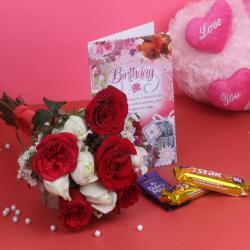 Product Consist : Hand TiedBouquet of 10 Red and white Roses, 2 Bars of Dairy Milk chocolate along with Best Wishes Greeting Card. Celebrate the festivals and occasions of this season with great pomp. 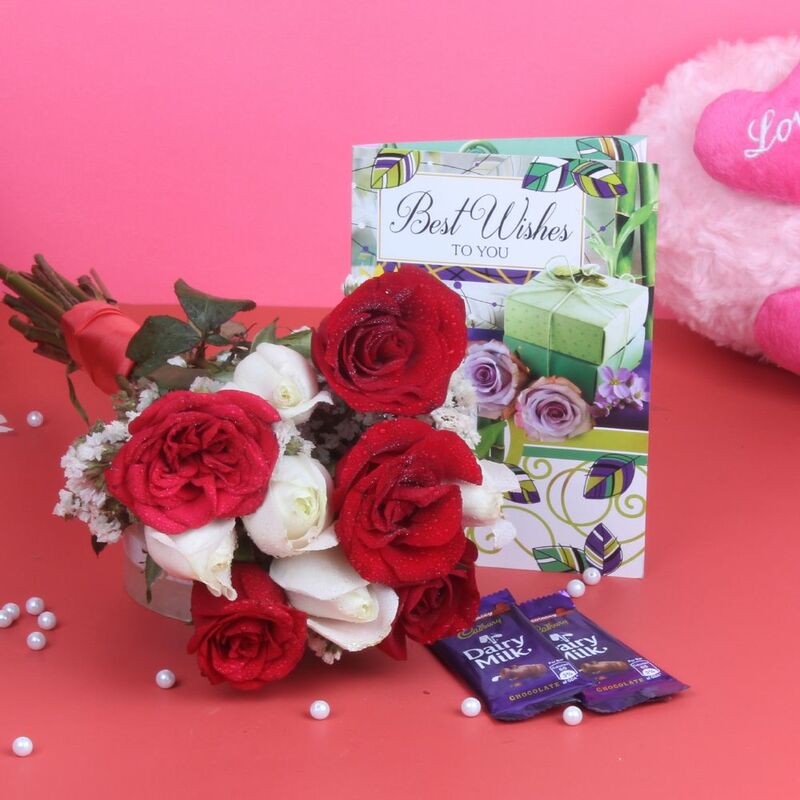 Send to a dear family or a close buddy a Bunch of 10 mix Roses, 2 Bars of Dairy milk chocolate with Best wishes greeting card. This holiday season calls for some lively and energetic gifting ideas. 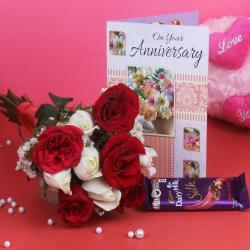 Gift 10 mix roses bunch, of dairy milk chocolate and best wishes greeting card. They will arrive to your door step fully flourishing, carrying with them fresh and blooming feelings. 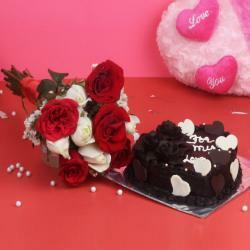 Order your 10 mix roses, 2 bars of dairy milk chocolate with best wishes greeting card on Giftacrossindia.com. They make a great gift for all seasons and occasion. We can send these lovely blooms at midnight, on the same day or even on an urgent basis. Delivery is always in time. Order this hamper online now. 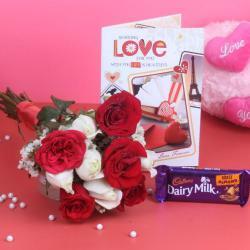 Product Consist : Hand Tied Bouquet of 10 Red and white Roses, 2 Bars of Dairy Milk chocolate along with Best Wishes Greeting Card.